It is true that drinking your Saturday night Sauvignon from a wide, bowl shaped glass won’t be the same as serving it in a narrower curved wine glass. It is also true that your Sunday lunchtime Shiraz can’t be truly appreciated unless it’s been served in a wide glass that allows it to breath and release the true breadth of its flavour. 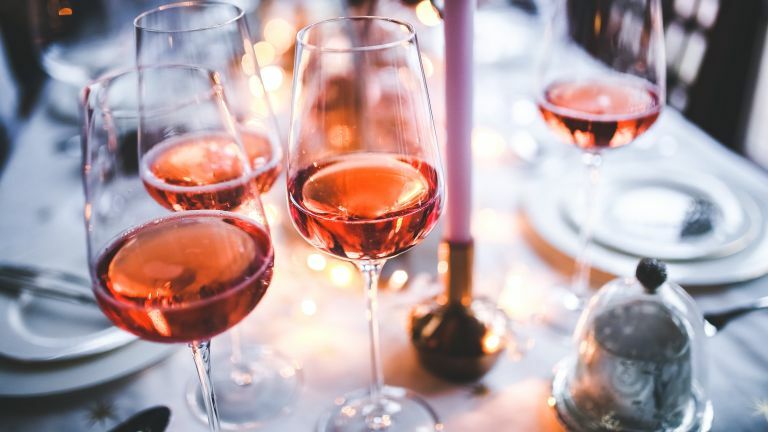 The shape and composition of a glass can really affect the drinking experience of your favourite tipple, so we’ve come up with a list of the top 5 wine glasses to clue you in to the different styles of wine glass available. Whether it’s a decorative all-rounder like the LSA International Sorbet Balloon Glass, which is suitable for red wines and heavier whites or the elegant simplicity of the Voice Basic Crystal Glass Wine Glasses, which are perfect for enjoying lighter whites, this list should provide you with plenty of inspiration, whether you’re focusing on appearance or shape. With their long stem, gold rim and various colour choices, these wine glasses from LSA are stylish, modern and a welcome alternative to the classic wine glasses that we see in bars and restaurants. The glasses have a wide bowl shape, perfect for aerating reds and heavier white wines or you could even use them as gin and tonic glasses if you fancy something different on a Friday night. Refined and elegant yet practical and dishwasher safe, these red wine glasses offer you the best of both worlds. Their bowl shape has been designed to release the bouquet of the wine, while the thin laser cut lip is there to ensure there’s minimal interference between the wine and your lips. Made from crystal, they’re stronger than regular glass, and they should retain their transparency for a lot longer, too. These champagne glasses are stylish and sophisticated, making them special enough for celebrations but also suitable for Friday night prosecco if it calls for it. They feature a fine rim to prevent the flavour of the champagne being marred by the glass, while the long stem ensures the heat of your hand doesn’t interfere with the tasting experience. Made from crystal, they’re dishwasher safe, and with six glasses for an RRP of just £24, certainly good value for money. Blending practicality and sophistication, these white wine glasses are ideal for drinking chilled wines. Their design makes them perfect to use as occasion wear or everyday dinnerware, while their crystal composition makes them strong, sturdy and dishwasher safe. With their thin lip, they join other glasses on the list as being the best for retaining the flavour of the wine, with minimal interference between the liquid and your tastebuds. Best suited for red wines, stemless glasses use the warmth of your hand to bring the wine up to the perfect temperature to release its aromatic flavours. Featuring a wide bowl to capture the bouquet of wine and a thin lip to make the transition of liquid as smooth as possible, these glasses are all about enhancing the drinking experience. They’re versatile, too, with users also using them for juice during the day.